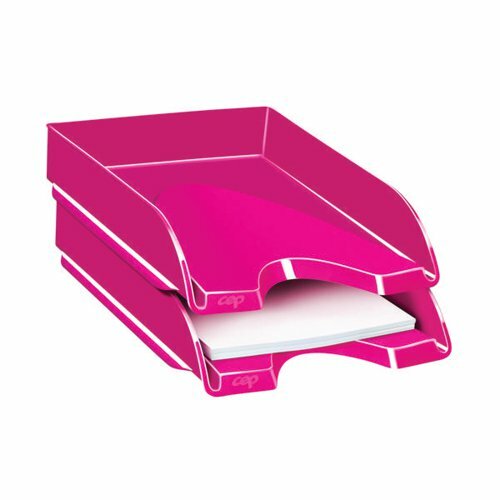 This CEP Pro Gloss letter tray can hold papers and files up to 240 x 320mm in size for convenient desktop storage and organisation. The tray can be stacked vertically or in a stepped formation without the need for risers, and the wide, cutaway front opening makes retrieval of documents even easier. The tray is 100% recyclable with a high gloss finish. This pack contains 1 pink letter tray measuring W257 x D348 x H66mm.